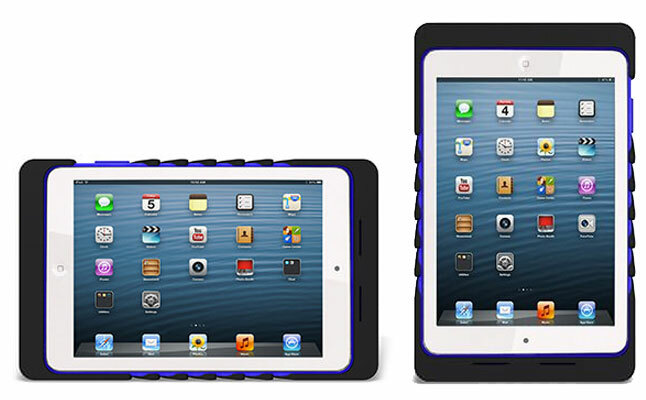 Pulse from iLuv is a great looking back protector designed for the Apple iPad Mini. The best thing about the new case is its dual-layered construction for catchy looks and improved protection from everyday bumps and bruises. Each of the layers features a different texture and a different color. Both layers of the Apple iPad Mini case are crafted out of highly durable TPU material, which absorbs impacts and keeps the device safe. The iLuv Pulse covers up all sides of the tablet, and even protects the screen with its slightly raised bezel. At the same time all ports and buttons can be accessed freely with the device inside the case. Horizontal gaming on the iPad Mini inside the Pulse from iLuv is especially comfortable thanks to special ergonomic texture on the left and the right sides, which offer secure grip and allow lengthy gaming sessions without the risk of getting tired. The price for this case is $49.99.